Villagers in Pa'an District, Karen State, have begun fleeing to Thailand to avoid violence and forced recruitment as porters in possible a joint SPDC/DKBA attack on a KNLA camp in Dta Greh Township, located next to a now populous IDP camp along the Moei River, bordering Thailand. This news bulletin describes the events of the past four days in which SPDC and DKBA forces have advanced towards the KNLA camp and begun what appears to be preparation for an attack. SPDC soldiers have begun patrolling and have set up an 81 mm mortar not far from the site and displaced villagers living in the area have become increasingly concerned about their safety. As of Friday, June 5th 2009, over 700 villagers from Dta Greh Township of Pa'an District, Karen State, have fled to Thailand in order to avoid fighting between joint State Peace and Development Council (SPDC) / Democratic Karen Buddhist Army (DKBA) forces and Karen National Liberation Army (KNLA) soldiers. In total around 250 soldiers from SPDC Light Infantry Battalions #202 and 205 and Infantry Battalion (IB) #81 and DKBA Brigade #999 have advanced in what appears to be preparation for an attack on KNLA Battalions #101, 21 and 22. Such an attack would fit the wider pattern of SPDC/DKBA operations against KNLA positions throughout Pa'an and Dooplaya districts in the lead-up to the 2010 elections in Burma. 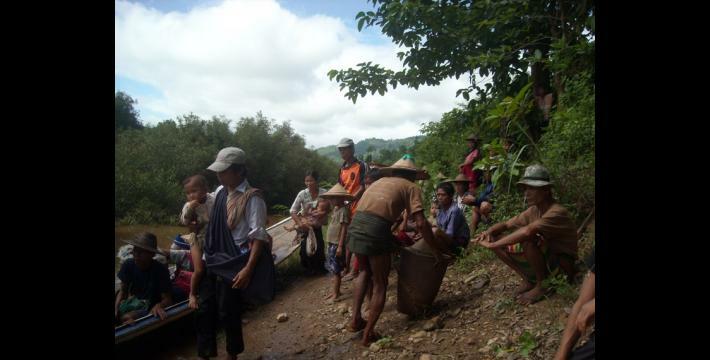 On June 1st 2009, DKBA soldiers from Brigade #999 began arresting villagers in T'Nay Hsah Township to serve as porters carrying supplies in upcoming military operations. KHRG field researchers have reported that 50 villagers from the area fled to Thailand on June 1st in order to avoid this forced labour as military porters. Later the same day, SPDC LIBs #202 and 205 and IB #81 along with soldiers from DKBA Brigade #999, led by battalion commander San Bpyot, advanced to an area in Dta Greh Township located about a one to two hour walk away from a KNLA camp. Previously, the SPDC had a single battalion stationed at this site which remained in the camp without patrolling. 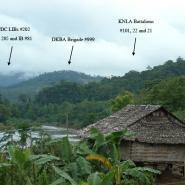 DKBA #999 earlier had about 10 soldiers stationed in the area. However, with the recent advance, the numbers of both SPDC and DKBA soldiers in the area have increased. The SPDC has also begun patrolling the area and the DKBA has started sending in rations in increased amounts. The KNLA camp housing Battalions #101, 21 and 22 is located near to Ler Per Her, a large camp for Internally Displaced Persons (IDPs) along the Thailand border. This camp now has a population of over 1,200 people, mostly comprising villagers who previously fled attacks and abuse elsewhere in Pa'an District. The recent advance appears to indicate a possible coming attack by the joint SPDC/DKBA forces on the KNLA camp. Upon arrival, around 200 soldiers from four columns of SPDC LIBs #202 and 205 began patrolling around Gklay Moh Kee, Gklay Poh Kee, Mae Lah Ah, Mae Lah Ah Kee, See Poh Kee, Htee Gkaw Haw and Wah Mee Gklah villages, all of which lie in Wah Mee Gklaw village tract, Dta Greh Township. Subsequently, on June 2nd 2009, residents from at least some of these villages began fleeing to Thailand (located about a one hour walk away) as they feared that if the attack occurred soon, they would be used by the SPDC and DKBA soldiers as porters or minesweepers. On June 2nd and 3rd, KNLA soldiers launched two guerrilla-style attacks on the SPDC troops and planted landmines near to the area where the SPDC soldiers were patrolling. According to reports, eight SPDC soldiers were injured and five SPDC soldiers killed in the KNLA attacks. Then on June 4th, KNLA soldiers again attacked the SPDC troops. As of Friday, June 5th 2009, KHRG field researchers reported that over 700 villagers had fled the area. This includes 132 people from 21 households in See Poh Kee village; 277 people from 46 households in Mae Lah Ah Kee village; and 312 people from 44 households in Mae Lah Ah village; all of whom have arrived at Oo--- village in Ta Song Yang District of Tak Provice, Thailand. Villagers who have fled from the other four villages located near to the SPDC patrols include residents of Wah Mee Gklah who have taken refuge at T--- village, also located in Ta Song Yang District. On June 3rd, a DKBA officer from Brigade #999, who was operating with the SPDC soldiers, telephoned one of the village secretaries who was amongst those who had fled and urged him and fellow villagers to return to their homes in Dta Greh Township. The officer said that the DKBA would protect the villagers from abuse by the SPDC. However, KHRG field researchers report that the villagers remain wary of returning because they have had experience with abuse by DKBA soldiers in the past. Local KNLA soldiers reportedly told the displaced villagers they did not know whether or not the DKBA would honour its promise to prevent SPDC abuse or instead arrest those who returned and make them serve as porters. KNLA soldiers further warned that if the villagers were arrested and used as porters in an attack on the KNLA camps in Dta Greh Township, they would risk injury or death from the landmines which the KNLA had earlier deployed. 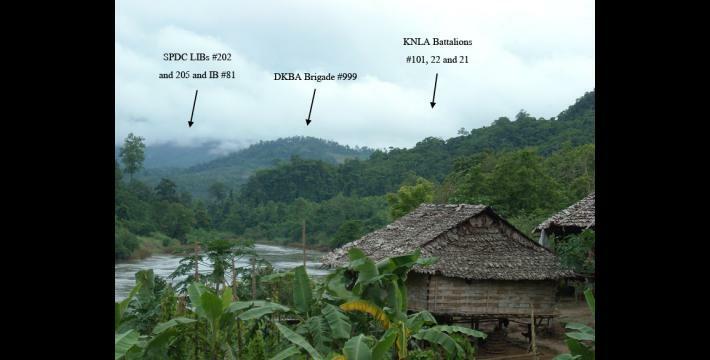 On June 4th, KHRG field researchers reported that the SPDC soldiers had set up an 81 mm mortar at the top of Bpoo Loo Dtoo hill, which is located above the KNLA camp and about five kilometres (about 3 miles) from Ler Per Her IDP camp in Dta Greh Township. Five kilometres is just within range of an 81 mm mortar. Villagers living in Ler Per Her IDP camp are thus increasingly concerned about their security and some have begun heading to Thailand for safety in case there is an attack on the site. 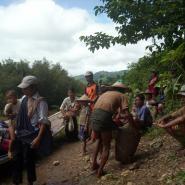 This picture was used in a previous KHRG report, Forced labour and extortion in Pa'an District, August 2008.